Civil engineer Mike O’Connor shares stories of continuously revamping his professional skills to stay afloat during turbulent economic times. Adam sees economic cycles, both short- and long-term, influencing his engineering activities. Petroleum engineers have recently seen an economic downturn in their industry, similar to a downward slide suffered 30 years ago by the oil business. Our guest for this episode is Mike O’Connor, a retired civil engineer who spent over four decades in the fields of construction and project management, working in both the private and public sectors. Mike’s father worked at Philco, which for many years was the leading producer of radios in the United States. Inventor Philo Farnsworth worked briefly for Philco in the early 1930s, before setting up his own firm, the Farnsworth Television and Radio Corporation, in 1938 to manufacture television system equipment. A bet between a foreman and his crew led to Mike’s introduction to the construction business. Of all things, learning about concrete specifications ignited a desire within Mike to become an engineer. Mike completed his master’s degree in Civil Engineering over a two year period, completing the normal undergrad requirements by taking equivalent graduate-level courses. As Mike was graduating with his engineering degree in 1975, computer automation was emerging with the Georgia Tech Structural Design Language (STRUDL). Brian suggests that weakness in the United States’ economy during the mid-1970s was due to stagflation. A theodolite is an instrument for measuring angles, usually while surveying. In working for the Environmental Protection Agency (EPA), Mike was introduced to the moving technical target known as best available technology (BAT). Not being able to find work in the late 1970’s (despite having a PE license), our guest went to law school for a year. However, he dropped out due to financial and familial obligations. Mike notes that each engineer has a “shelf life,” and one has to be aware of the decreasing interest companies will have in older individuals. Everyone makes career missteps; our guest estimates it takes 3 to 5 years to recover from each such course correction. During the 1980s, many civil engineering firms had to shift from “cost-plus” to “lump sum” contracts. In the early 1990s, Mike shifted his career trajectory once again, overseeing contracts for the Bay Area Rapid Transit (BART) commuter transportation system. Paraprofessionals are already integrated into other professional fields, such as medicine and law; our guest believes they will soon start being introduced into the engineering industry. Mike suggests engineers develop mentor relationships, especially as they enter management positions. Having an interest in engineering preservation, our guest has started the Fredrick and Pennsylvania Line Railroad Museum. Mike can be reached via email: Mike -=+at+== fplmuseum dot org. 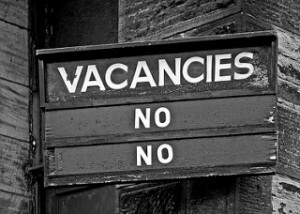 Thanks to the Tim Green for use of the photo titled “Vacancies No No.” Opening music by John Trimble, and concluding theme by Paul Stevenson. Interesting discussion and a fascinating guest, but I can’t help but feel like there is a chance that aspiring civil engineers might take away the lesson that their field is dying. I graduated from SJSU about 30 years after your guest, and Civils were in high demand. At the time the college of engineering was trying to convince the huge numbers of computer engineering students to consider other disciplines.